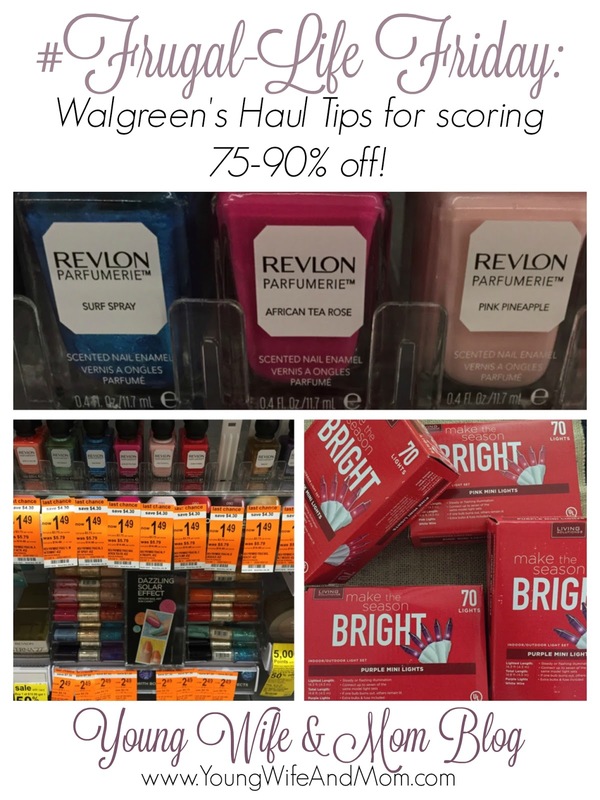 Drugstores prices are not my favorite by far, but you may walk away with some great deals if you know how and when to shop there. Over the past few years, Walgreen's has become a favorite of mine for mini-hauls. There is one conveniently down the street from our home and serves as the main place we shop for incidentals needed during the week (or when we're too lazy to brave the grocery store.) I also have found myself shopping there for small indulgences at AMAZING prices! 1. Shop Clearance First: My first instinct is to shop the clearance racks at any store. This may be a special aisle or even an end-cap. My store has both so I may sure to spend time at each of them. 2. Last Chance Tags: These little orange tags make me so happy, especially when I see rows of them in the makeup aisle. I must say that as a teen I spent WAY too much on makeup and nowadays I refuse to spend anything over $5 for an item. Nail items tend to draw me in most. 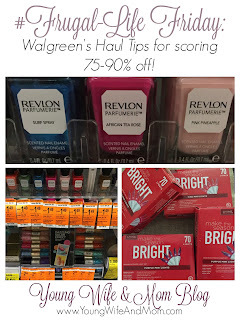 Guess how excited I was to see Revlon nail polish for $1.49 and $2.49! If I had a coupon these would have been an even better haul! 3. Seasonal Clearance: Walgreen's is great at marking down seasonal items. My favorite are kids holiday activity books, Halloween costumes, candy, makeup gift sets (especially e.l.f. brands) and Christmas decorations. I have slacked on my after Christmas shopping but lucked up on a few items like these holiday lights marked down to $.59 each. Although, they did have quite a bit of the multicolored lights available, I opted for the pink and purple ones. They should be really cute for a Valentines Day decoration I'm planning. 4. Balance Rewards: If you have shopped Walgreen's in the past year and do not have a rewards card, you are seriously missing out. The program is FREE and there are SO many benefits - in short, you can earn points for $5+ off of your purchase. You can combine with coupons, sales and I use mine to get something for FREE. Check out all of the details and ways to earn here. Do you have any tips for shopping at Walgreen's or any other drugstores? I'd love to hear about it the comments!